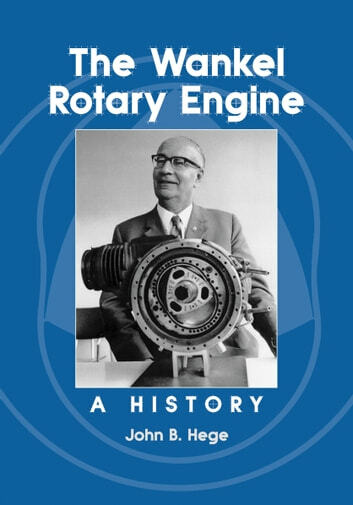 Conceived in the 1930s, simplified and successfully tested in the 1950s, the darling of the automotive industry in the early 1970s, then all but abandoned before resurging for a brilliant run as a high-performance powerplant for Mazda, the Wankel rotary engine has long been an object of fascination and more than a little mystery. A remarkably simple design (yet understood by few), it boasts compact size, light weight and nearly vibration-free operation. In the 1960s, German engineer Felix Wankel’s invention was beginning to look like a revolution in the making. Though still in need of refinement, it held much promise as a smooth and powerful engine that could fit in smaller spaces than piston engines of similar output. Auto makers lined up for licensing rights to build their own Wankels, and for a time analysts predicted that much of the industry would convert to rotary power. This complete and well-illustrated account traces the full history of the engine and its use in various cars, motorcycles, snowmobiles and other applications. It clearly explains the working of the engine and the technical challenges it presented—the difficulty of designing effective and durable seals, early emissions troubles, high fuel consumption, and others. 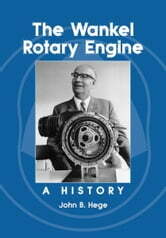 The work done by several companies to overcome these problems is described in detail, as are the economic and political troubles that nearly killed the rotary in the 1970s, and the prospects for future rotary-powered vehicles.